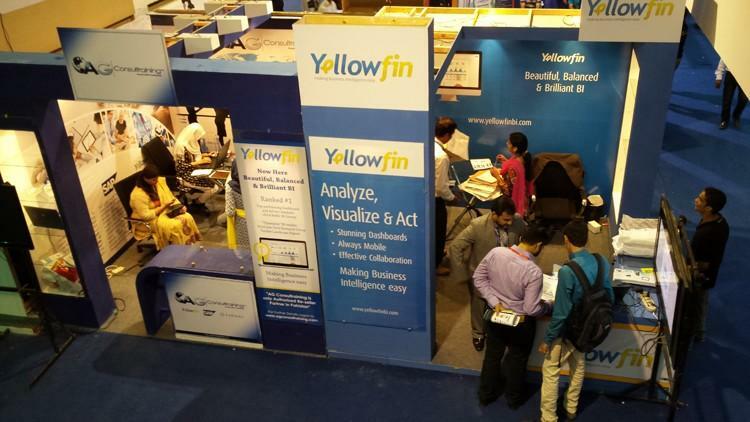 AG Consultraining, Yellowfin’s first Pakistani reseller partner, has kicked-off its Yellowfin partnership by exhibiting at the Information Technology Commerce Network (ITCN) Asia. 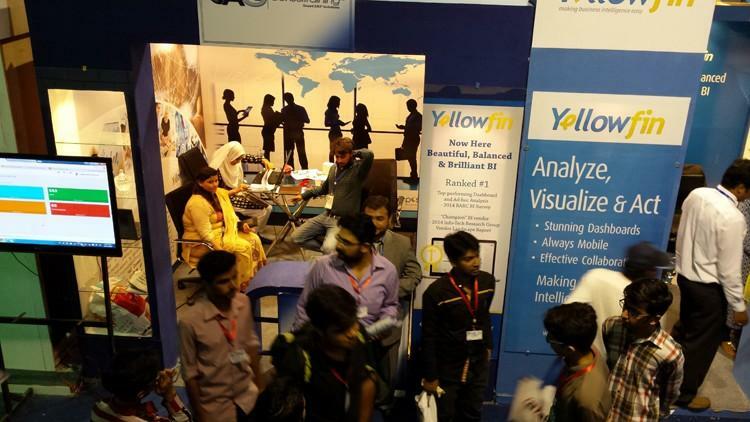 The international conference and exhibition took place at the Karachi Expo Center, Pakistan, 15 – 17 September. ITCN Asia is the largest IT and Telcom event in Pakistan, and has been running for 15 consecutive years, with over 15 countries participating and more than 80,000 trade members attending over the three-day event. AG Consultraining Executive Director, Adnan Iqbal Ghoui, said the conference was a success and that the response to Yellowfin was enthusiastic and positive. Business Development Officer, Fahad Karimi, said that AG Consultraining had constant delegate interest in Yellowfin over the three-day event. 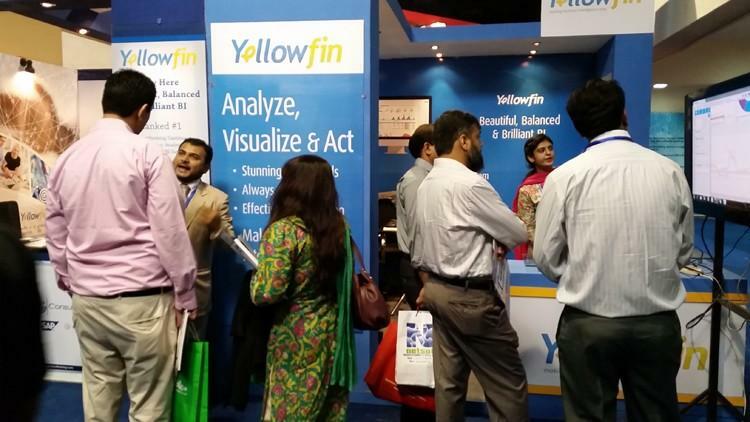 Officially launching Yellowfin in Pakistan is an exciting development for us at Yellowfin, as the market has massive potential. Pakistan’s IT global spend is estimated at US$2.8 billion, including a global sales revenue of US$1.6 billion. According to the ITCN website, ITCN Asia Exhibitions and Conferences have been playing a pivotal role in putting Pakistan on the world IT Map, bringing in huge foreign and local investments in the country.